Lawal Daura Won't Return To DSS? 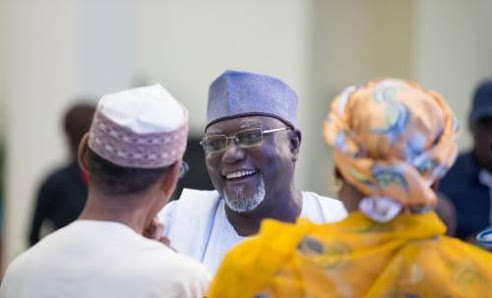 Despite pressure from some forces, including members of his kitchen cabinet, President Muhammadu Buhari has foreclosed the reinstatement of sacked Department of State Services (DSS) Director-General Lawal Daura. Some of the lobbyists, The Nation learnt, trailed the President to London to mount pressure for the reversal of Daura’s sack. He was relieved of his duties by then Acting President Yemi Osinbajo. “So, when Daura acted against democratic norms, he was invited to the Presidential Villa by the Acting President. While seated in a part of Osinbajo’s office, waiting to see the VP, his removal (was announced).